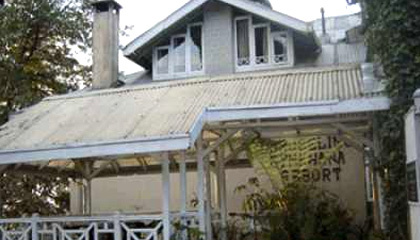 Darjeeling Gymkhana Resort is located near the Mall. 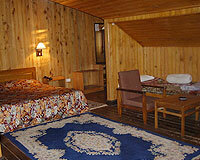 Darjeeling Gymkhana Resort is an oasis of elegance, comfort and luxury. Counted among the most preferred destinations in Darjeeling, the resort is set in a convenient location surrounded by the most gorgeous snow peaks in the world. Darjeeling Gymkhana Resort is the most ideal destination for business travelers, leisure and honeymooners as the resort offers many amenities with the most efficient service. Exemplary services coupled with superb facilities make this wonderful abode an instant choice for all holidaymakers visiting Darjeeling. Darjeeling Gymkhana Resort offers 22 rooms most with their own fireplace, attached bathrooms with bathtubs & showers, color televisions with cable network, telephone facility. Darjeeling Gymkhana Resort has one specialty restaurant serving mouthwatering Indian, Chinese and Continental dishes.